A Gathering of Voices for Freedom. Composed by Bill Harley. Arranged by Bill Harley, Emily Crocker, and John Higgins. Expressive Art (Choral). Children's Musical. Score. 72 pages. Published by Hal Leonard (HL.9970005). All Aboard! This train is going to freedom land, and everyone's welcome! In the 1950s and 1960s, thousands of Americans decided to stand up for freedom. Each made the decision on their own, and climbed on board a train of freedom that changed the face of this country. Not just adults, but young people, led the march to freedom. Wherever they struggled for freedom, people sang songs about their hopes and dreams. They had to stand up to people that didn't want them to have equal rights, and songs helped them do it. This musical, by nationally-renowned singer and storyteller, Bill Harley, chronicles the Civil Rights movement. With an entertaining and informative script and eight authentic songs arranged by Emily Crocker and John Higgins, today's children can experience the drama and power of this critical period in our nation's history. 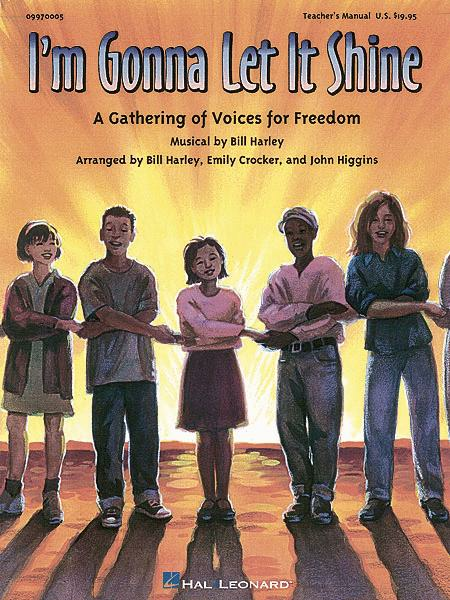 Ideal for school and community functions, this 30-minute musical is easily adapted to groups of any size, and Bill Harley's classroom enrichment activities, suggested bibliography and teaching notes will make this a production that can truly involve your whole school. Available: Teacher's Manual, Singer's Edition (5-Pak), Preview Cassette, Performance/Accompaniment CD. Performance Time: 30 minutes. For Grades K-8.